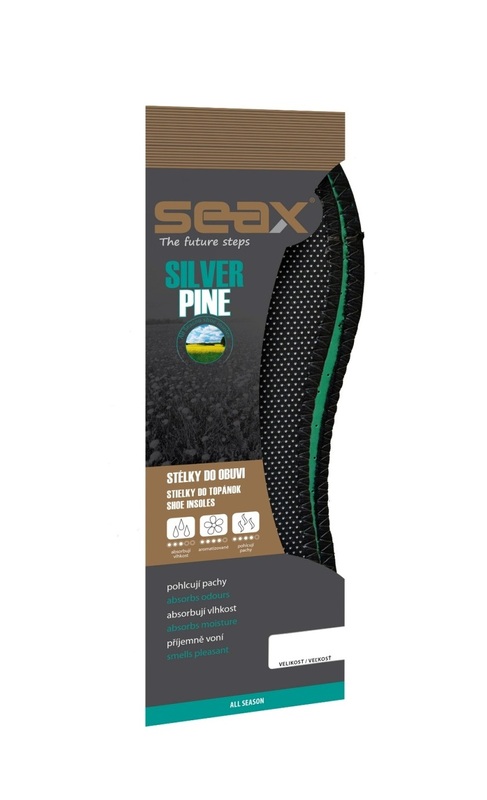 SEAX Silver pine is a highly comfortable antibacterial insole with active silver and a long lasting scent of pine. 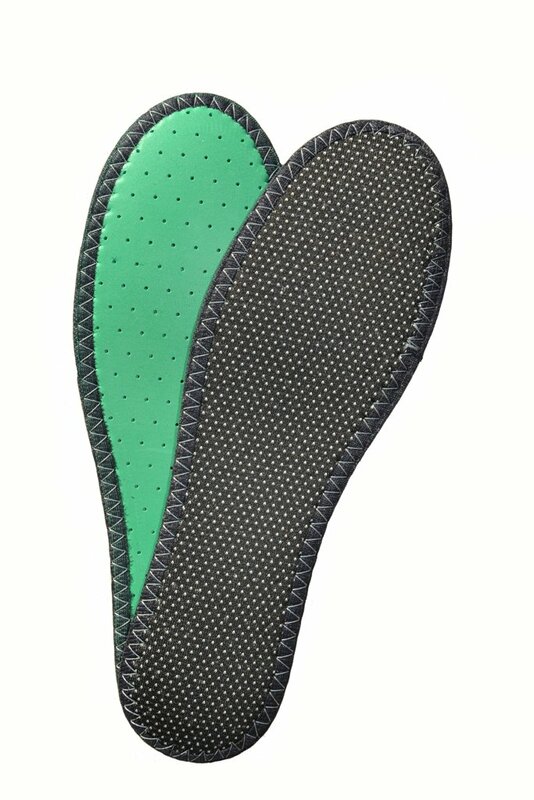 The bottom layer consists of frothed latex, that absorbs shocks when walking and reduce the feeling of tired legs. Addition of silver prevents the formation of bacteria and acts against unpleasant odors. Legs and shoes thus remain fresh in summer and winter.